Father’s Day is coming up and what better way to show your appreciation than with beer and bacon? 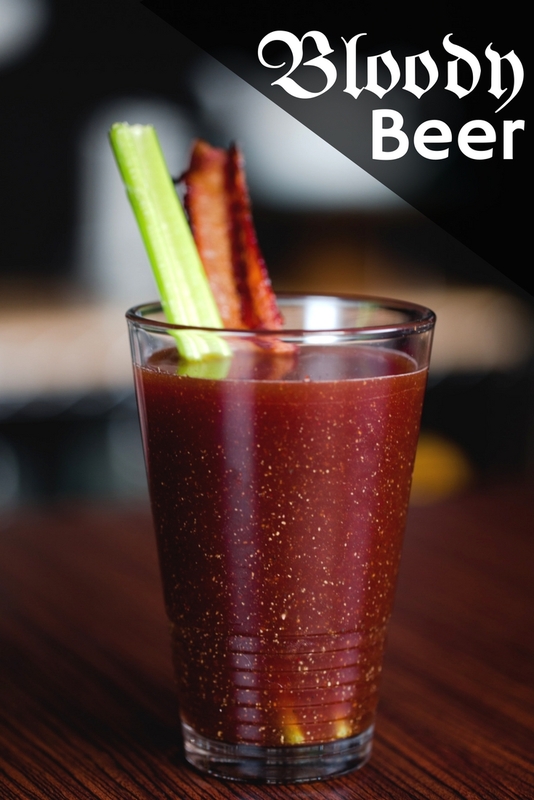 Make this savory, spicy Bloody Beer (also known as a Michelada) and Bacon cocktail to guarantee that your dad has the best day ever! Place the bacon on a wire rack over a rimmed baking sheet. Sprinkle brown sugar and Natural Bloody Mary Seasoning Extract Powder on the bacon. Place another sheet pan on top of the bacon. Rotate the sheet pans around and bake for another 10 minutes. Add all cocktail ingredients to a shaker half full of ice and shake well. Strain into a pint glass. Garnish with celery and bacon.